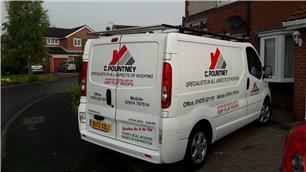 C Pountney Roofing - Fascia/Soffits/Guttering, Roofer based in Ashington, Northumberland. C Pountney Roofing are based in Ashington. We have over 30 years experience in all aspects of roofing. We are a family run buisness and employ a local apprentice who has nearly completed his training.